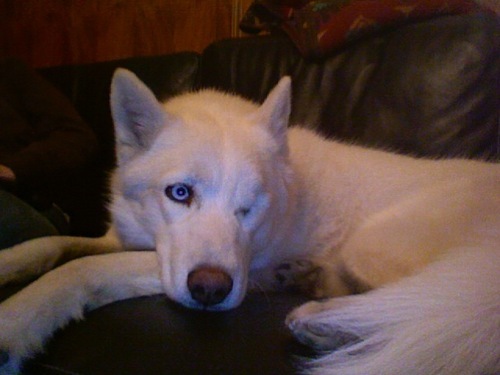 Sitka (One-eyed). If you want to hear her story... go to the dogs spot and than to the soapbox, it's titled "My Damaged Sweetheart".. Wallpaper and background images in the Siberian Huskies club tagged: one eyed heart worm positive husky puppy sitka. You need to put yourself as the image credit, and add lots of nice keywords. Without keywords, the image does not exist as far as google is concerned.